As always, I asked the angels to please bring me a clean and clear message for you, my clients, students and followers. 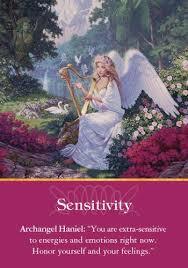 For this reading they took me right to the always insightful Archangel Oracle Cards by Doreen Virtue. 2 cards came up for you today. I don’t know about you, but I am having some rough nights since the full moon/lunar eclipse/blue moon/super moon we’ve just experienced. I am waking many times each night, and am WIDE awake when I do so. I’m also doing a sugar detox AND have had an absolutely inflooding of ideas for my business the last few days as well. It’s all converging! And it’s intense. And it’s not just me. 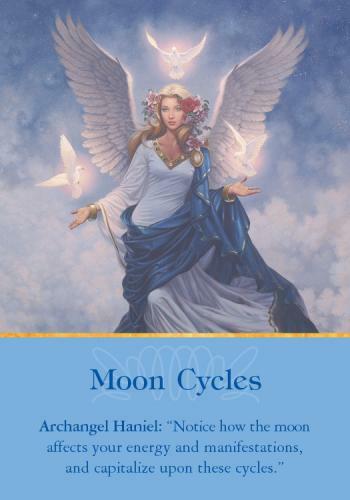 The angels are asking us, through this card, to be aware that sometimes outside influences, such as the super powerful moon we’ve just experienced, are influencing us much more that we make think or realize. Eclipses are doorways. Super moons and blue moons are intense energetic awakeners. The full moon is the time we naturally (and/or intentionally) release things we are done with. The moon pulls and tugs at our body, at our emotions, at our energy. This card asks that we be aware of this, and that we allow that there’s more going on in us than we can see right now. The second card goes hand in hand with the first today. The angels ask that you be gentle with yourself, and oh so nurturing just now, dear ones. They would like to see us find some peace in what feels a bit chaotic energetically. We are shifting, both at the collective level and individually, at this time. There’s no avoiding this! The shifting is surfacing pains, fear, old emotions for release, and bringing in ideas, inspiration, and change. Relax, dear one, they say, as much as you can. Ask us for help and for a hand to hold onto, they say. Allow yourself to feel what’s coming up, and to be and feel sensitive, if that’s how you are feeling (or attempting not to feel). Shift time is happening. Trust your gut, your intuition, and your sensitivity to lead you now, dear ones, they say. And remember to ask us for help and support, over and over, as many times as you wish. There are never too many requests. We delight in our being there for you when you ask us in. And with that we are compete. p.s. Do you enjoy these readings? Have you thought about joining my Angels In Your Inbox program? 2 personal readings each month. You can have me ask the angels: “dear angels, what do you want me to focus on (or what do you want me to know)?” Or we can focus on something specific that’s bothering you or that you are wondering or worrying about. It’s amazing what they respond with!